This weekend AR and I tried a new-to-us restaurant that just opened within walking distance from our apartment. While I had read about Bantam & Biddy in Atlanta Magazine, I always felt it was too far away for brunch. Not any more! Coffee: First, let me just say I was thrilled that there was no line and I sat down immediately. Hallelujah! While they did not carry soy milk, I ordered an almond milk latte, made with my favorite coffee: Batdorf & Bronson. I automatically warm up to any brunch spot that serves this roast. My latte was incredibly strong, but I drank every drop. Atmosphere: The atmosphere is quiet and small. I was obsessed with the subway tile and retro mirrors hanging from the ceiling. I surveyed the menu and found about 42 things I wanted to try. Food: The menu has a large selection of chicken options (their specialty), but also a surprising number of gluten-free and vegetarian dishes. I had my eyes on the hot faro cereal and the warm vanilla bean apple sauce. I also tried the curry chicken sausage for a bit of protein. The cereal arrived with a warm cinnamon milk, topped with roasted bananas and raw almond. In a word, AMAZING. I loved the combination and was surprisingly filled by the small cup (only $3.50). The raw almonds added a bit more texture to the cereal and the warm bananas provided a sweetness. My apple sauce was yummy, not not a strongly vanilla-flavored as I expected. I still ate every bite. The curry sausage was probably a poor thing to order with my faro and apple sauce because the flavors were too strong in contrast. I liked it more when I heated the leftover sausage up the next day. AR ordered a build-you-own-biscuit. It was about 5 inches in diameter and filled with scrambled eggs, cheese, and friend chicken tenders. The biscuit was yummy, but the fried chicken stole the show. So excellent. I took a bite, then asked for another, and then considered ordering my own. I will absolutely order some next time. It was flavorful, crispy, and not as all greasy. AR couldn't even finish the whole biscuit, but he ate all the chicken out of it. Service: The one thing I would change was the wait service. My server was not very knowledgeable and seemed a little confused, but I think this has to do with the new location. It certainly won't prevent me from coming back. 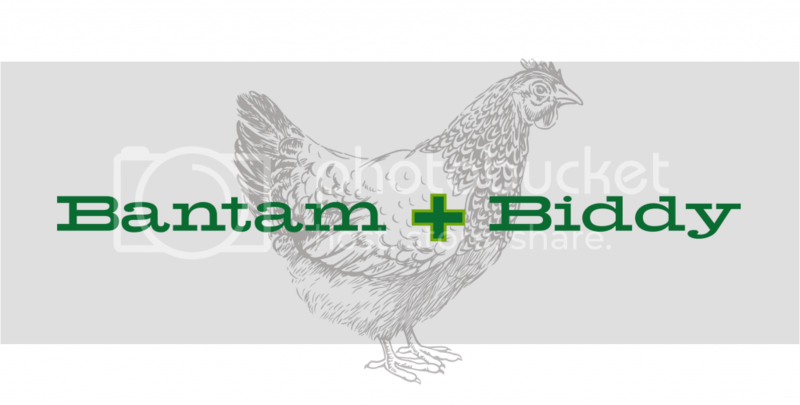 AR and I plan to have a dinner at Bantam & Biddy in the new few weeks. You can bet friend chicken will be on my plate!